Traditionally casinos offered comps only after a player had spent a significant amount of time and money in their casino. 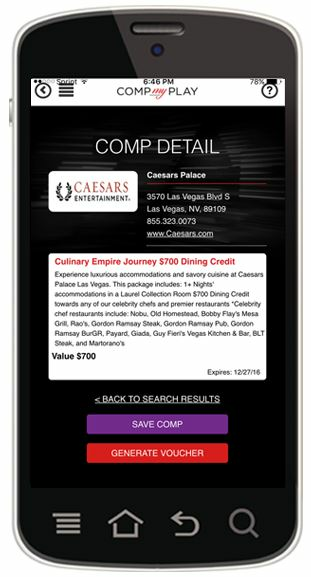 Now there is an app (Comp My Play) that allows casinos to compete for your patronage by offering comps before you even step through their doors. Comp My Play is the first-to-market casino search engine of its kind that locates and delivers customized comps to your mobile device from over 50 participating casinos in 23 cities across the country - saving you time and money on all of your gaming and entertainment activities. When you download the free app, there is a brief, one-time profile about your gaming and casino interests which the app uses to customize your comps. 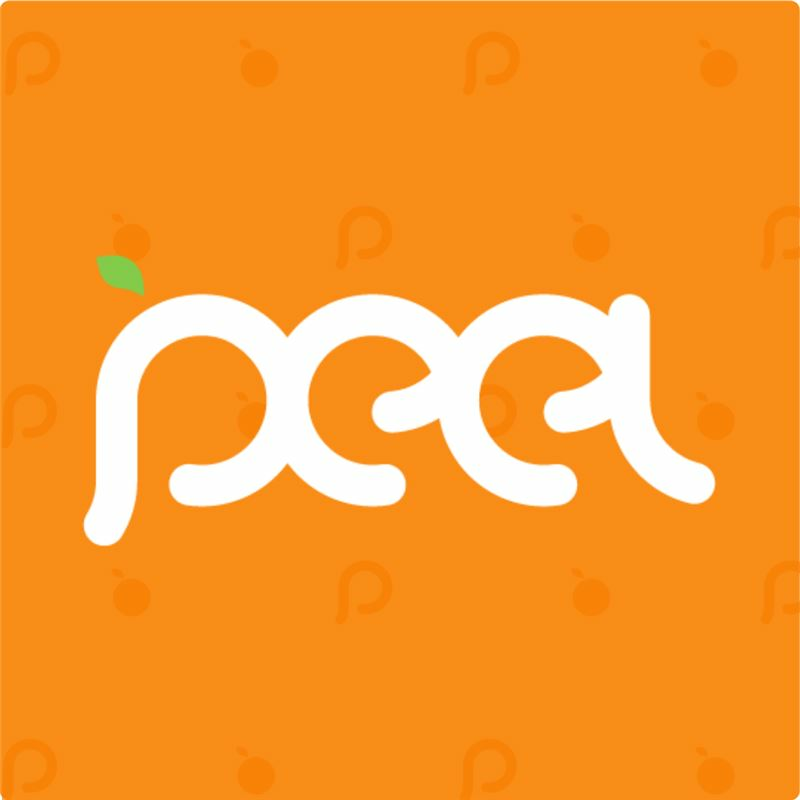 Utilizing cutting-edge, geo-location technology, the app searches for comps in your area or an area where you are planning a trip and issues relevant offers for things like free play, hotel room discounts, spa packages, free concerts and shows, golf outings, and much more. There is no obligation or cost to you for using the app. 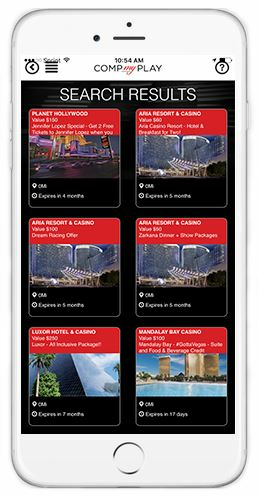 You simply download the app, search by location and convert custom offers to vouchers that you redeem at the casinos' rewards desk or online at the touch of a button. If you are a frequent casino visitor, Comp My Play has a mobile-wallet feature that electronically stores all of your casino loyalty cards in one convenient place to use when you need them, so you can free up space in your wallet. Simply show your phone or mobile device to the pit boss to record your play and earn rewards. Comp My Play is not only for gamblers. 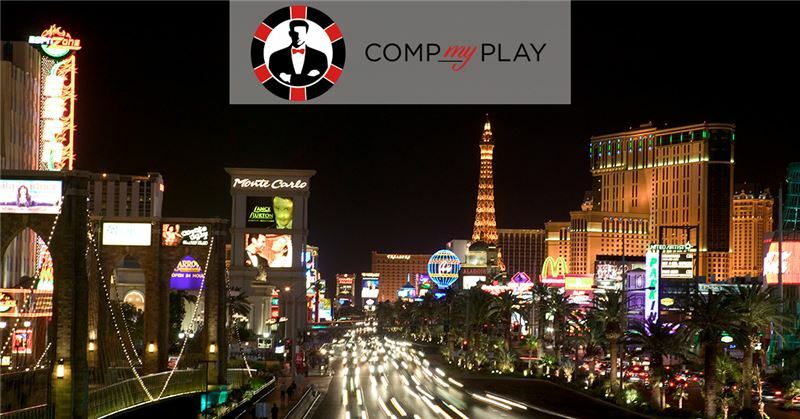 Anyone who enjoys visiting casinos for the luxurious amenities, world-class shows, or family-friendly activities can find exactly what they are looking for with Comp My Play. Download the free app for IOS or Android and start reaping the benefits today. Comp My Play maintains strict confidentiality of your personal information and never sells or discloses any information provided by our users.